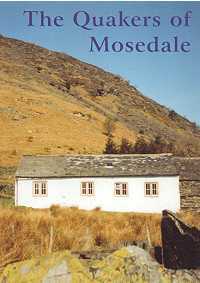 2002 is the 300th anniversary of the settling of the meeting in Mosedale Meeting House. It is an appropriate time to bring out this second edition, which was first published in 1976. The book is divided into two sections, the first covering the years 1653 to 1969 and being largely a history taken from records. The new second section covers the period between 1969 and 2002, and has many new photographs. Illustrations : b&w and colour photographs.